We respect your rights while striving to preserve a safe, secure community. 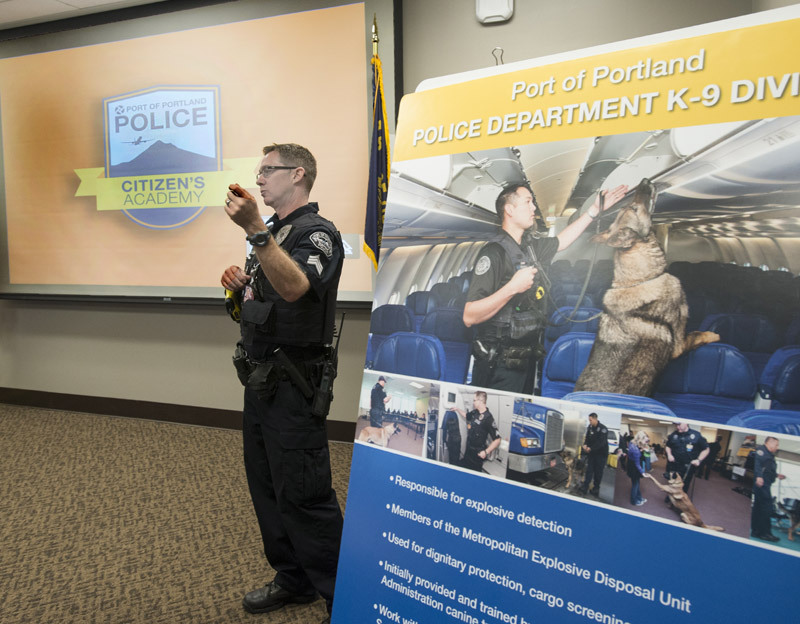 Port of Portland Police have the same authority as other Oregon police. 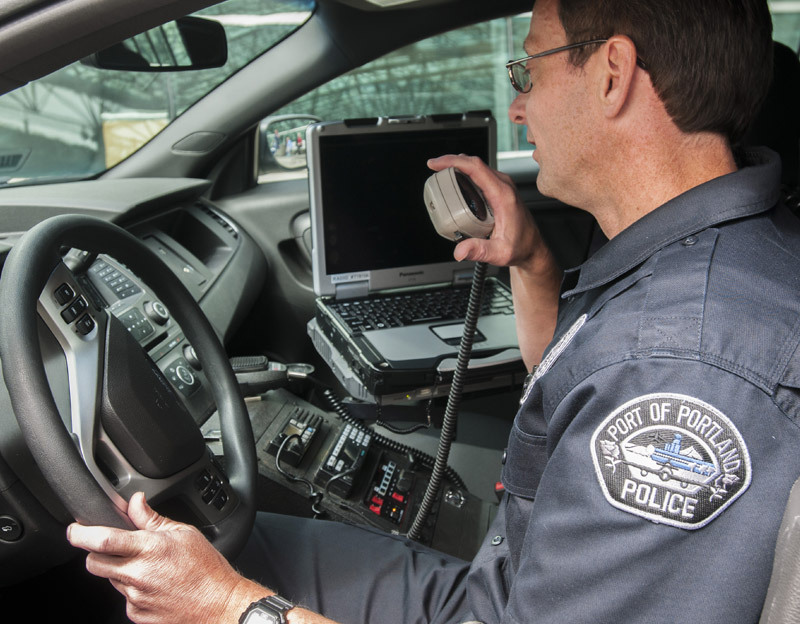 In addition to traditional law enforcement, we help travelers and enforce federal security rules. Our officers respond to a variety of situations. We ensure the security of our airports and other properties. 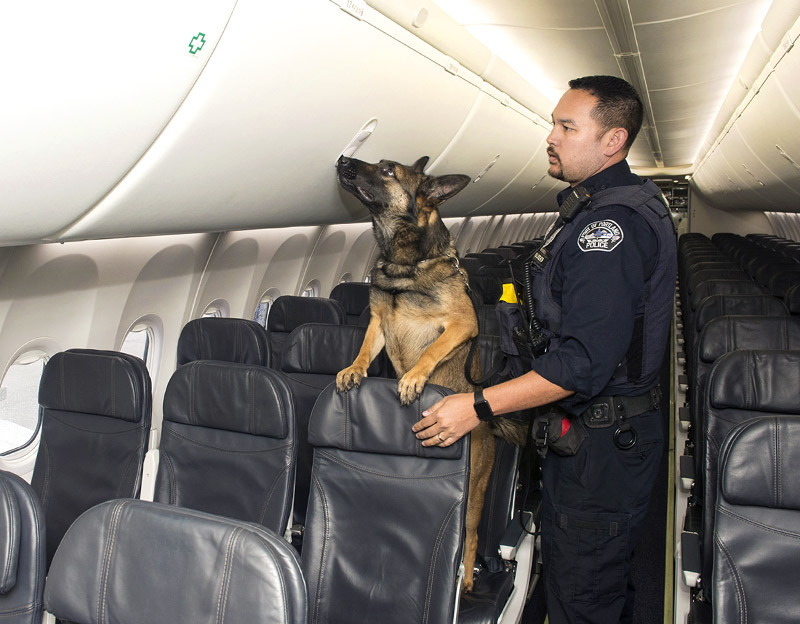 That happens through frequent patrols, the enforcement of our security plan, and collaboration with the Federal Aviation Administration, Transportation Security Administration, and U.S. Customs and Border Protection, as well as state and local partners. Our officers respond to emergencies including crimes in progress, arrests, traffic accidents, missing persons cases and criminal investigations. We also handle situations like escorting public figures through security, and managing high-profile cases that involve the media and large crowds. Want to learn more about what we do? Join in our community outreach activities, such as tours, K9 demonstrations, summer camp activities, Special Olympics and fundraising efforts. For feedback and general inquries, please e-mail us.